Stage names are nothing new in show business, but most of the time, they're at least pretty easy to spot. Whoopi Goldberg, Vin Diesel, Joaquin Phoenix—it won't come as much of a surprise to learn that the names of these actors are not what is on their birth certificates. The use of pseudonyms is prolific in the world of music, too, where a boring name rarely stays intact and the use of a moniker is pretty much common practice, much more common than you probably realize. Celebrity culture is fueled by perception, and no matter which branch of it you intend to operate in, if you have a name that is unattractive, difficult to pronounce or just plain silly, you'd better be prepared to change it. Not every stage name is designed to project an image, however. When a celebrity has a name that could quite easily belong to your neighbor, we tend to assume that they were given it by their parents, but you'd be surprised at just how many well-known stars have chopped and changed their professional names to suit their needs. From Oscar winners to platinum selling artists, the following celebs are not using their real first names. Kit Harington has been using a nickname his entire life, but even he didn't know that his real name was actually Christopher until he was 11 years old. The Brit told Glamour magazine that he didn't have a clue why his parents waited so long to tell him that he wasn't really called Kit, which had well and truly stuck by this point. 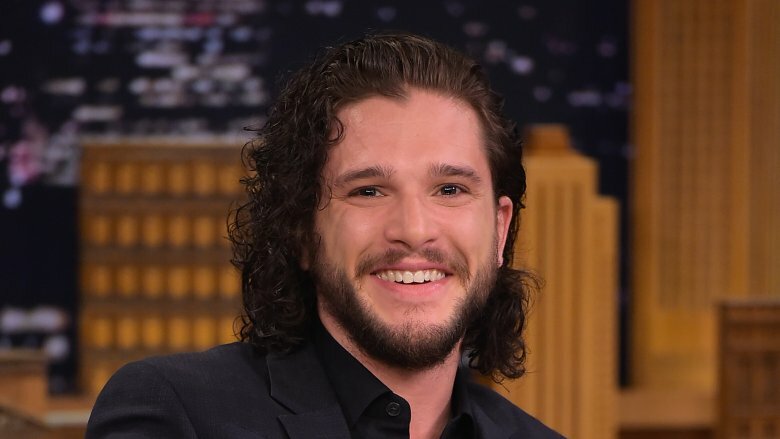 The Game of Thrones star's real name rivals any from the hit HBO show in terms of grandeur, though he had no intention of launching House Catesby Harington in Hollywood, choosing to go by the name that he always prefered as a kid. "I think they could see that I wanted to be Kit, but Christopher was a bit of a tradition," he explained. "My brother's name is Jack, but his real name is John. Kit is traditionally an offshoot of Christopher, it's just not used that often. My middle name is Catesby." 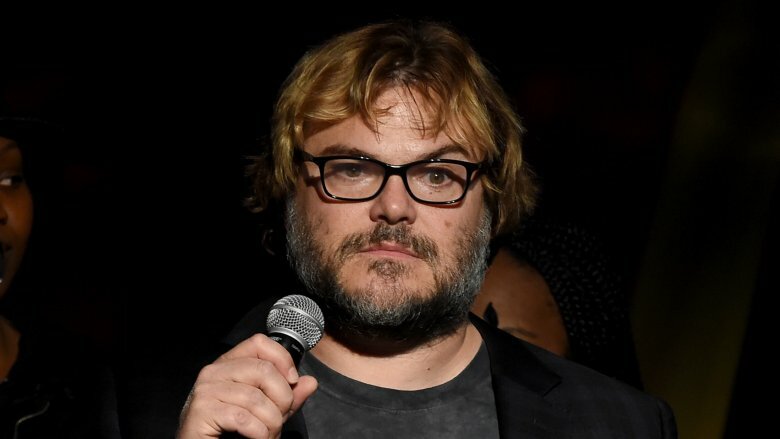 The name Jack Black rolls off the tongue just as the actor himself has rolled with the punches over the years, surviving a number of critical bashings to emerge as a respectable face in Hollywood. After finding himself in serious danger of getting typecast as a funnyman, Black made a conscious effort to reinvent himself, telling Guardian that he was "getting tired of the old kind of frat-guy comedies." He might have been taken seriously a little earlier if he had stuck with his real name Thomas Black, though the name lives on anyway through his youngest son. Fatherhood has had a big impact on Black, though he and little Thomas don't always get along. "Sometimes I'm afraid my little one is going to murder me," he joked with US Weekly. "Sometimes there's some genuine rage in his eyes. And he told me he's going to kill me. But I think it's just a phase." Bruce Willis might have dropped his real first name for the benefit of his career in acting, but the A-lister remembers the days that he went by Walter fondly. The future Die Hard star was born to an army engineer named David and a young woman he met while stationed in Germany in the early 1950s. What would have likely been a memorable fling ended with a swift marriage after Marlene, who was 19 years old and knew very little English, fell pregnant. 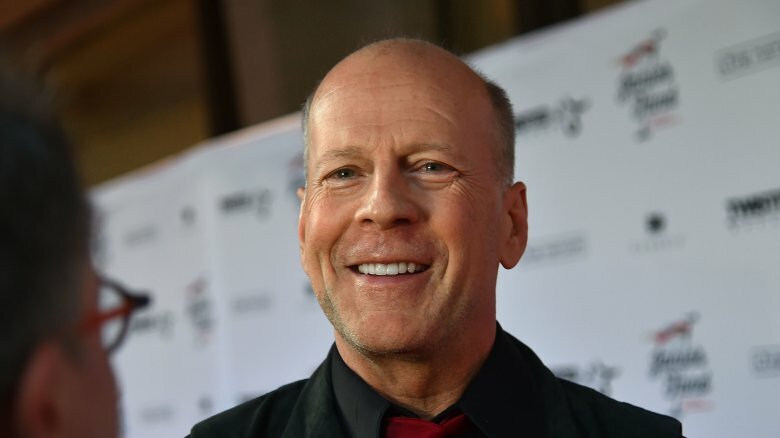 They named their son Walter Bruce Willis and he spent the first two years of his life living in his mother's home town of Idar-Oberstein (a "cool place to grow up," according to the actor) before his father moved the family to New Jersey, where he would pursue acting under the name Bruce. Funnily enough, one of his first big roles ended up being a 1987 rom-com called Blind Date in which he plays a character named Walter. It isn't unusual for a celeb to replace a name that people find a mouthful with a far catchier stage name in an effort to make themselves more memorable, especially in the music industry. What is unusual, however, is an artist who changes their name to something that they actually hate. 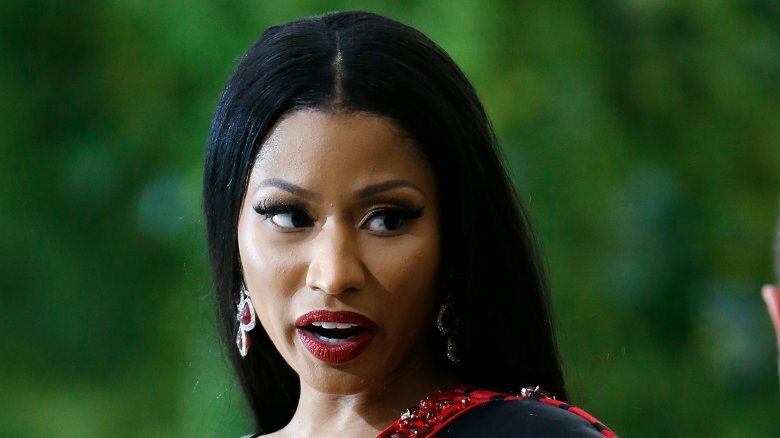 Strangely, this is the case with Onika Tanya Maraj, known to the world as Nicki Minaj thanks to her first producer Fendi, who decided (against her wishes) that Nicki Maraj just didn't have the right ring to it. "I was always called Nicki at home so I was known as Nicki Maraj, but my first producer did not like Maraj and thought Minaj sounded better," Nicki told Newsday (via Hip Hop Wired). "I still hate the name and I was going to go back to Maraj on the album but people told me no because my fans like it." 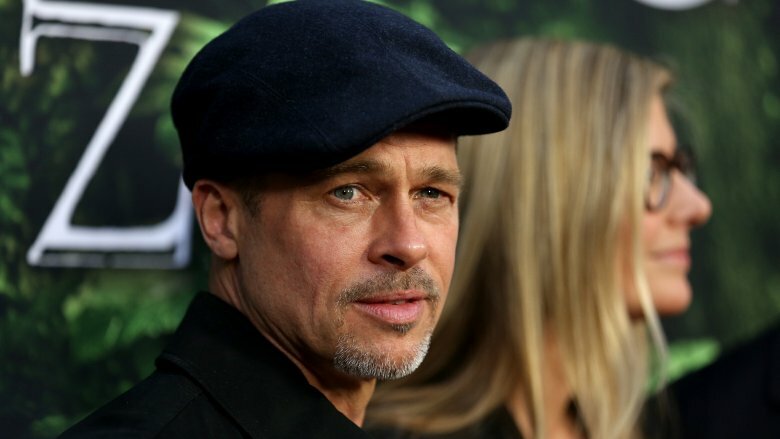 Brad Pitt's real name has been all over the pages of tabloids in recent months in the form of divorce papers, which officially list him as William Bradley Pitt. Going by your middle name is something of an unofficial tradition in the southern parts of the United States, and Oklahoma boy Pitt is no exception to the rule, named William after his father but going by Brad to avoid confusion while adhering to custom. 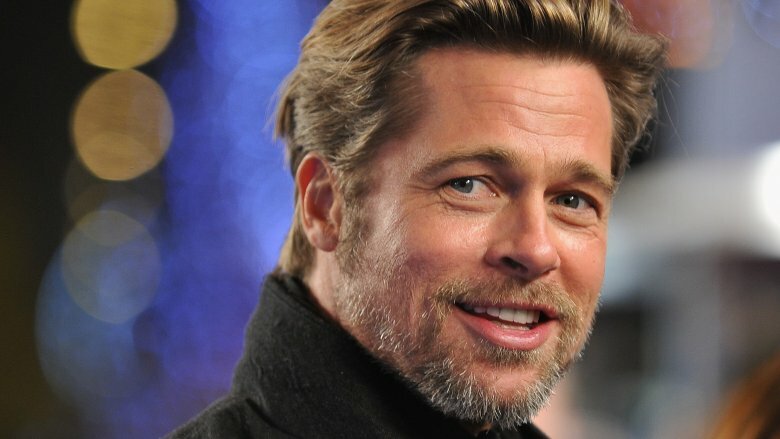 While he has asserted that he had a largely happy childhood, Pitt has also admitted that the upbringing he received from his Southern Baptist father was a tough one, telling The Telegraph magazine (via The Star) that he lived "with all the Christian guilt about what you should and shouldn't do." It looks like the actor means to break with tradition, as he hasn't bestowed the name William on any of his sons. Emma Stone is one of many actors who have been forced to adopt a screen name because their real one (Emily Stone, in this instance) is already taken at the Screen Actors Guild, which has a strict policy on duplicates. She tried Riley Stone on for size when she appeared in CBS supernatural drama Medium back in 2005, but soon settled on to Emma, not only because it sounds really similar to Emily, but because of a childhood obsession with British girl group the Spice Girls. "When I was in second grade I did ask the teacher on the first day of school to call me Emma because I always wanted to be Baby Spice," the La La Land star revealed on Jimmy Kimmel Live (via MTV). "It stuck for, like, a day, and I didn't know that years later everybody would be calling me Emma instead of Emily. So I'm Baby Spice for life!" Billy Ray Cyrus clearly had high hopes for his first born daughter when he called her Destiny Hope, though the name was hardly ever used in the Cyrus household. It was her father who then went on to give Miley the nickname that would eventually become the name the world now knows her by, dubbing her Smiley on account of the ear to ear grin she always wore. That was shortened to Miley by friends and family and before long it was all anyone called her. In 2008 she made it legal, dropping Destiny Hope in favor of Miley Ray, choosing to honor her old man with a new middle name to boot. In the end it seemed like his daughter adopting his name cramped his style, as the '90s country star recently announced in an interview with Rolling Stone that he intends to go simply as Cyrus from now on. 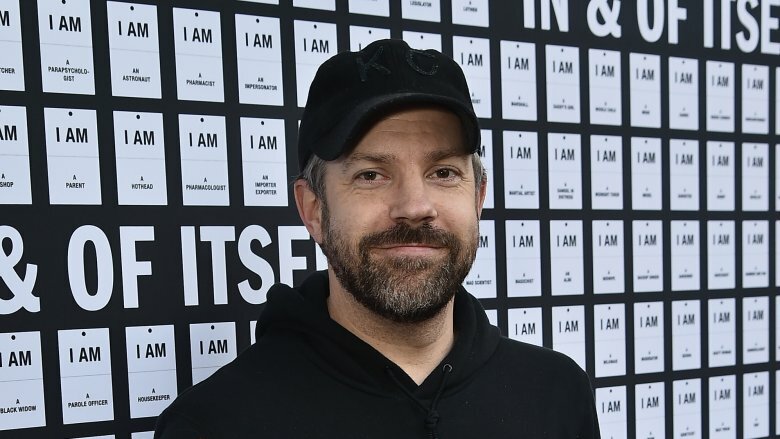 Jason Sudeikis is yet another actor who chose to go by his middle name rather than the one passed down from his father, which, judging by his grimace when he revealed it to Jimmy Fallon, he isn't all that fond of. After earning his stripes as a Saturday Night Live cast member, Sudeikis has gone on to establish himself in Hollywood, recently taking on a surprisingly dark role opposite Anne Hathaway in critically acclaimed monster movie Colossal. The name we all know him by isn't his real one, however. "I'm Daniel Jason Sudeikis [after] my father," the actor revealed on The Tonight Show. "Not a lot of people [know that], but it's out there. It's on Facebook, so that mean's it's real." Despite not using his own father's name professionally, the actor is still big on tradition, naming his young daughter Daisy Josephine Sudeikis (the same initials as daddy) after a cousin and a great-grandmother. Most people landed with the middle name Stamatina wouldn't dare consider using it over their first name, but Tina Fey decided that a shortened version of it was still preferable to the rather serious-sounding Elizabeth. Fey has been planning to make it as a comedian since the tender of 13 after when she adopted humor as a high-school coping mechanism, and a catchier name was a must if she was going to stand out from the crowd. 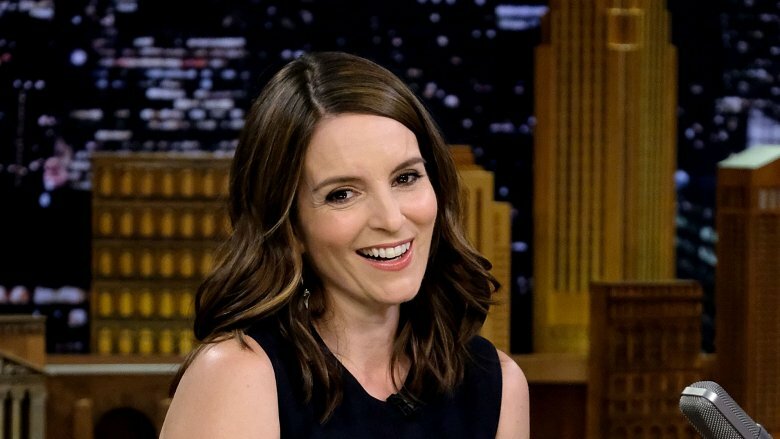 Now that she is well-established as an actress, Fey can afford to poke fun at her name change, which she has done on several occasions in 30 Rock. Her character in the NBC comedy goes by the name Liz (short of Elizabeth, of course) Lemon, and this season five Easter egg shows her riffing on several different female baby names, before finishing on Christina: "I don't know about Christina, because then everyone calls her Tina and every Tina I've known is a real judgmental b****." Rooney Mara actually made her first handful of screen appearances under her given name, credited as Patricia Mara in her 2005 debut, a B-movie horror named Urban Legends: Bloody Mary. After that she shortened it to just Tricia, though that clearly didn't feel quite right, either. After she completed filming on critical and commercial flop Tanner Hall in 2009, she decided to drop her first name altogether and go simply by her middle name, Rooney, which she felt people were unlikely to forget in a hurry. "I never really liked my first name," she told Paper magazine. "I never felt like a Tricia, and Rooney is more memorable." Her plan seems to have worked, as in the years since she decided she was going to be known as Rooney her career has went from strength to strength—eight of the films she has appeared in since 2010 have earned Certified Fresh status on Rotten Tomatoes. 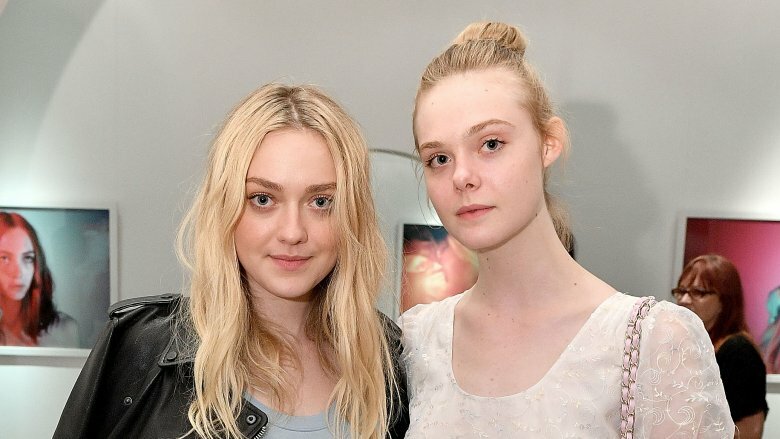 The Fanning sisters Dakota and Elle have been going by those names most of their lives, though their birth certificates actually read Hannah and Mary, respectively. When younger Fanning sibling Elle sat down for an interview with Glamour, she was asked why she dropped her more traditional first name, though you can't really drop something you never use. "I just never went by Mary, like ever," she answered. "My mom goes by her middle name, and my sister goes by her middle name. Her first name is Hannah. It's possibly a Southern thing, I don't know. But since my mom goes by her middle name, we go by our middle names too. Although, it was awkward in school when they were calling roll call because they'd go, 'Mary? Mary?' Kids would be like, 'There's no Mary here.' I'd awkwardly raise my hand, like, 'Uh, it's me.'" If there is one celeb who will never, ever swap their first and middle names, it's Penny Dreadful star Billie Piper, whose middle name is Paul after her father. If her parents hadn't come to their senses when she was still less than a year old, however, Paul might not have looked like such a bad an option—her birth name was actually Leian Paul Piper. Leian (which is pronounced like a mixture of Lee and Ian) clearly didn't suit her as a child, because on April 25, 1983, her parents went back on their choice and legally had their daughter's name changed to Billie, keeping up their habit of using variations on boy's names. Whether she would have grown into her original name is anyone's guess, but she seemed destined for stardom regardless, leaving her hometown at the age of 12 for the prestigious Sylvia Young stage school in London. Just three short years later she had launched a career in pop music and used it as a platform to acting, eventually landing her most recognizable role as Rose in cult UK sci-fi series Doctor Who. 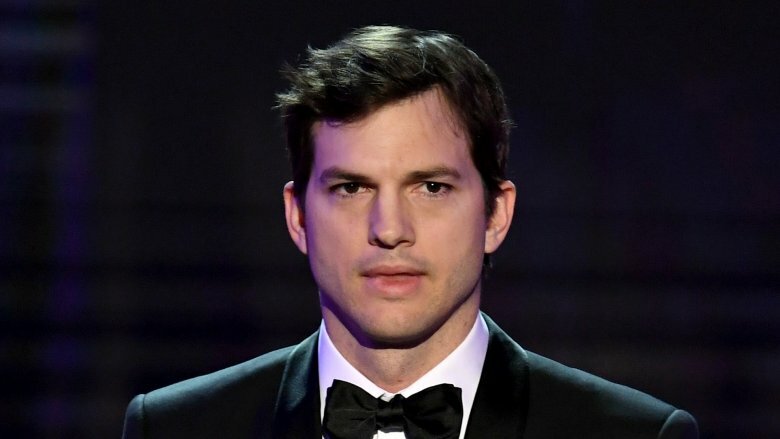 When Ashton Kutcher took the stage at the 2013 Teen Choice Awards to accept the Ultimate Choice award (or the grandpa award, as he put it), he opened up in a rather unexpected way, first thanking his fans for allowing him to do what he does but then going on a rant about "insider secrets" in the business. 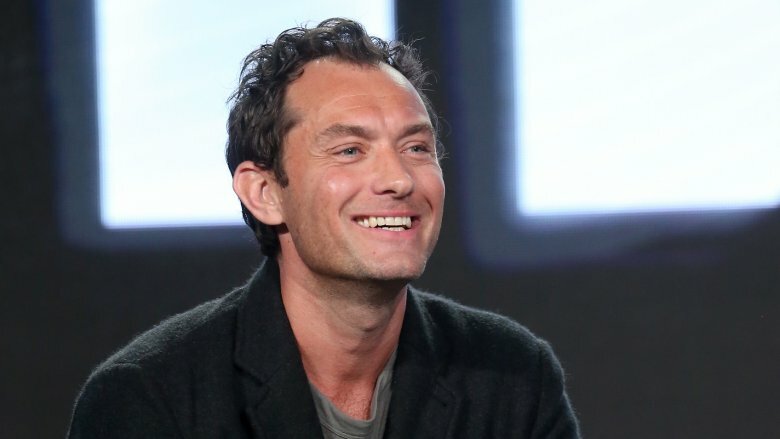 The former Punk'd presenter revealed to the young audience that his real name was actually Chris, not Ashton, and then implied that the decision to change it was forced upon him as a young actor. "In Hollywood, in the industry, in the stuff we do, there's a lot of insider secrets to keeping your career going and a lot of insider secrets to making things tick," Kutcher said during his speech. "I feel like a fraud," he continued. "My name is not even Ashton. Ashton is my middle name. My first name's Chris, and it always has been. It got changed when I was 19 and became an actor, but there are some really amazing things I learned when I was Chris." Milena Markovna Kunis spent the first seven years of her life in a small Ukrainian town bordering Romania, growing up during the fall of communism. Things were still a little sketchy soviet side at the time, which is why her parents didn't tell her that they were moving the family to America. The actress told Conan that her folks feared that Milena would draw unwanted attention to them if she blabbed about the move to her friends, so they decided to tell her they were moving up the street, instead. When the day came, they whisked her away to the airport and got on a plane bound for the US. It was here that Milena became Mila, dropping a few letters to make her name easier for her new compatriots to remember. She found fame under her new Western-friendly name, but recently proved how important her roots are to her, calling her second child with Ashton (excuse me, Chris) Kutcher Dimitri, which the Russian version of the Greek name Demetrius. Even though his most recent outing King Arthur looks like it's going to be another nail in Guy Ritchie's coffin, star villain Jude Law isn't in danger of disappearing into obscurity anytime soon. The dashing Brit has been around the block enough times now to know what it takes to remain relevant in the business of show, though as a child he was often teased for his lofty acting ambitions, especially after he decided to drop David and adopt his middle name professionally. "It's not the easiest name to grow up with in South East London to be really honest," he said on the Graham Norton Show (via Daily Mail), "a blond annoying little boy wanting to be an actor called Jude. There were some perks though—when I was about 17, I got asked to join this national theatre company and I was put in the girls' dormitory because they assumed I was a girl, which was fine by me! I kept quiet for a couple of nights!" Oscar Winner Reese Witherspoon was born in New Orleans but she didn't end up staying there long, spending the first four years of her life in Wiesbaden, Germany, after her father (a surgeon in the US Army reserves) was stationed there. Had she been there long enough to grow a stronger affinity with the country then who knows what stage name she might have chosen? 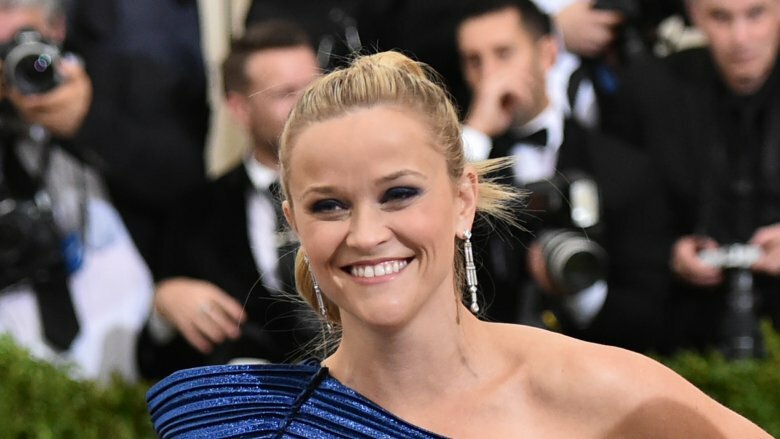 But as it was, the family moved back to the States and settled in Tennessee, where middle names tend to become first names and Laura Jean Reese Witherspoon was simply Reese. It was "a very definitive Southern upbringing," the actress told the LA Times (via BBC). "It bred in me such a sense of family and tradition. It helped me establish a normalcy in life that I hope will stay with me for the long haul." The Legally Blonde star made it clear how close her home is to her heart when she named her third child Tennessee James Toth, who, let's be honest, probably can't wait to start using his middle name.